Oklahoma City — (Business Wire) — APMEX, Inc. and Sprott Inc. (TSX:SII), leaders in the precious metals industry, today announced the launch of OneGold, the first online marketplace to securely and conveniently buy, sell, and redeem digital gold and other precious metals. 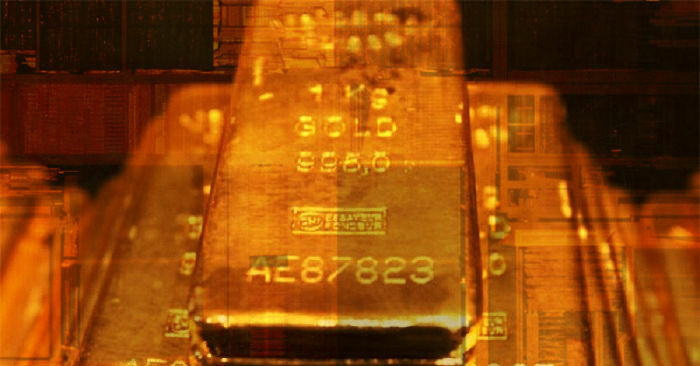 Both partners bring decades of experience and knowledge to OneGold: APMEX is a leading precious metals e-retailer, with more than $10 billion in sales and 1.5 million customers; Sprott is an alternative asset manager and a global leader in precious metal and real asset investing with more than $7.5 billion under management. OneGold.com is secure and accessible 24/7 on any device, allowing investors to buy, sell, or redeem precious metals at their convenience. Investors are encouraged to learn more and create a free account today at OneGold. For more than 15 years, APMEX has been one of the nation’s largest precious metals e-retailers, boasting over $10 billion in transactions. APMEX possesses a large selection of bullion and numismatic items, boasting more than 10,000 products. Product offerings include all U.S. Mint bullion such as Gold, Silver, and Platinum American Eagle coins. APMEX also sells products from leading mints around the world including the Royal Mint, Perth Mint, Royal Canadian Mint, and many others. APMEX is a member of the American Numismatic Association, the International Precious Metals Institute, and the Industry Council for Tangible Assets. For additional information, visit the website of APMEX or call (800) 375-9006. Sprott Inc. is an alternative asset manager and a global leader in precious metal and real asset investments. Through its subsidiaries in Canada, the U.S., and Asia, the corporation is dedicated to providing investors with best-in-class investment strategies that include Exchange Listed Products, Alternative Asset Management, and Private Resource Investments. The corporation also operates Merchant Banking and Brokerage businesses in both Canada and the U.S. Sprott is based in Toronto with offices in New York, Carlsbad, and Vancouver and its common shares are listed on the Toronto Stock Exchange under the symbol (TSX:SII). For more information, please visit Sprott’s website. Tradewind Markets has built a technology platform for digitizing the ownership and trading of physical assets. The Tradewind solution combines the world-class exchange technology of IEX, the fair, simple and transparent stock exchange, with a blockchain application tailored for precious metals. Tradewind is operated by a team of 22 professionals with extensive experience in electronic trading, gold investment management, market operations, and blockchain technology, and has been financed by industry leaders such as Sprott Inc., Goldcorp Inc., Agnico Eagle Mines Ltd., IAMGOLD Corporation, and Wheaton Precious Metals Corp. For more information, please visit the website of Tradewind Markets. Press release courtesy of APMEX, Inc. and Sprott Inc.
aid of a financial services technology. There won’t be a concern in transferring ffor waste simply because the equipment use the entire trash providing as energy as a result of gasification process. being offereed on any other such mobile device.